Home / Dog behaviour / Why do dogs eat poops? Why do dogs eat poops? Dogs are scavengers. As many dog owners know to their cost, dogs often have a penchant for things that we find less than palatable. If it’s not counter or table surfing, it might be raiding the kitchen rubbish bin or snacking on rich pickings from the park, street or elsewhere. Occasionally, those rich pickings include poo, much to the disgust of many owners. That poo can be from a range of species (birds, horses, rabbits, cattle, sheep, deer, and in my own dogs’ case, cat poo is a particular favourite). But sometimes, dogs have a desire to consume either their own or other dogs’ faeces. This behaviour is called coprophagy, literally translated as “faeces eating” and, unsurprisingly, many dog owners don’t like it. First, it seems that not all dogs eat each other’s poo. 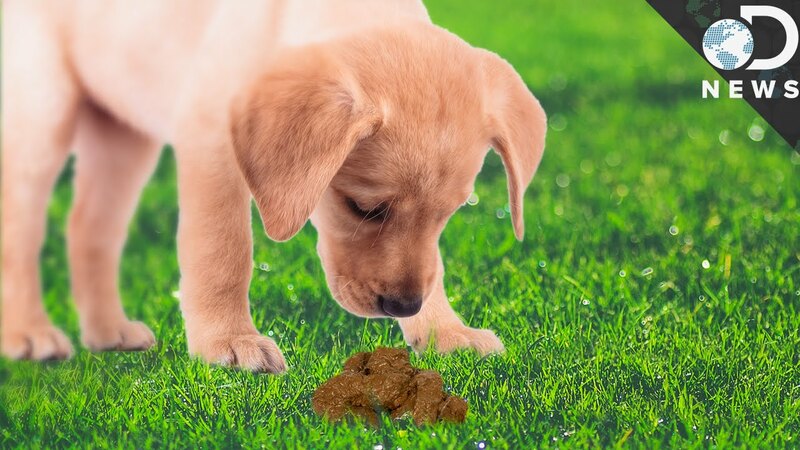 The study found that only 16% of more than 1,000 dog owners surveyed saw their dogs consume canine faeces at least six times or more (the study’s definition of coprophagy). And 77% recorded never seeing their pets eat other dogs’ poo. Yet none of this explains why certain dogs will eat poo if they can. It might simply be that some dogs like it and have learned, either by accident or with intent, to consume faeces. Perhaps dogs do it if their owners or other dogs they come into contact with show a particular interest in faeces. After all, we know that dogs often synchronise their behaviour with their owners (though it’s unlikely that most affected owners are coprophagic). But the study authors suggest that coprophagy is something much more basic. It’s possible that poo eating is an evolutionary remnant from dogs’ ancestors, where faeces could be a source of disease, especially from parasites. Removing faeces early by eating it might represent a way of cleaning it up to prevent infectious parasites developing in the days after it’s deposited. And dogs today may indulge in exactly the same behaviour.